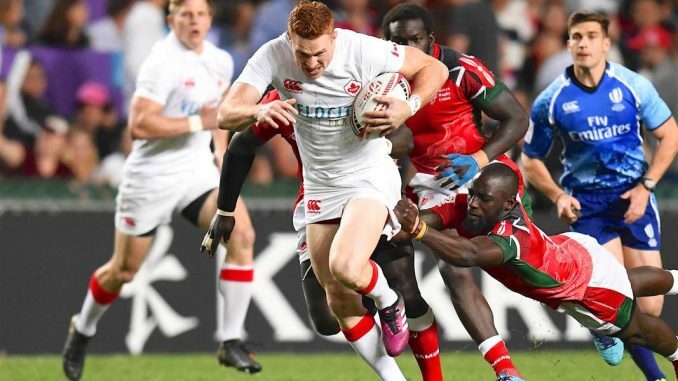 In a repeat of last month’s final in Vancouver, Fiji ran in four tries to move within just three points of series leaders South Africa in the overall standings and take their third tournament win of the 2018 world series. Two yellow cards in the first half for Kenya’s Collins Injera and Willy Ambaka allowed the Pacific islanders to take a 17-0 lead at half-time. Despite tries from Kenya’s Billy Odhiambo and Oscar Ouma in the second half, Fiji were uncatchable and cemented their reputation in Hong Kong as the team to beat. After the break, Baber’s side closed the 5-19 deficit through Samisoni Viriviri and Nasilasila. Nasilasila then put them 26-19 ahead. Canada was relegated to the Challenge Cup consolation bracket after going 1-2 in pool play, but rebounded with a 45-0 drubbing of South Korea before edging Russia 19-12. The Canadians’ quest for hardware, however, ended with a 33-7 loss to France. The team now heads to Australia to compete at the Commonwealth Games.